Loved reading this post, there's lots of products there I would love to try including the Balance Me oil and Hydraluron! 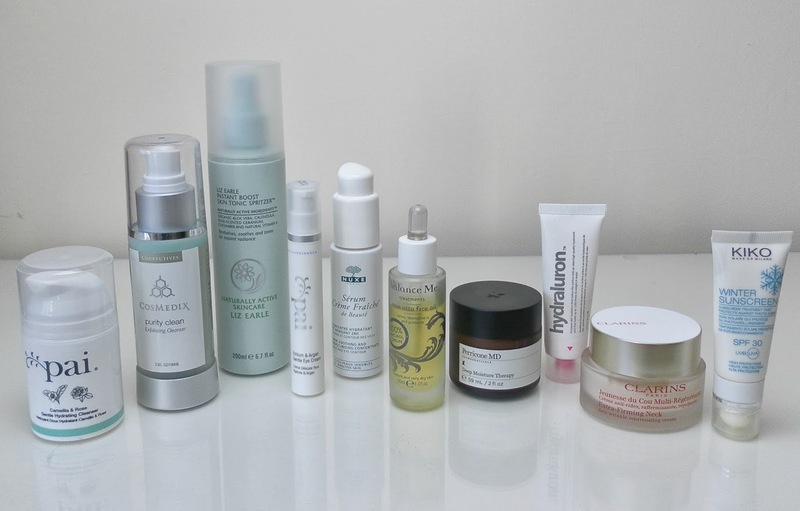 Not to Mention the Nuxe Serum. I love their lip balm! Oh wow, this looks like an amazing line up of products, some I've never heard of before either which is always great. That Balance Me Face Oil and the Kiko Winter Sun Screen both sound fabulous. I've been using Hydraluron for a few months now, but after four weeks of use, someone warned me about my skin's dependance on it, so now I just limit it to one or two uses a week. YES, Liz Earle. Liz Earle is where it's at. Haven't tried anything else in your routine though!